2010 seems to move away fast, because Sony Ericsson does not remake the same mistakes with regard to updates. Indeed, all models Xperia put on sale in 2011 will be get next Android update Ice Cream Sandwich. 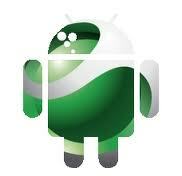 The newcomers knew Android may not be the mismanagement of its Sony Ericsson smartphones of 2010. The updates have long been postponed, then canceled, then finally available. on the Xperia X10 multitouch was impossible, and finally an update earlier this year was able to activate it. This situation was such that many potential customers turned away from the brand, as the manufacturer was not trustworthy. With regard to equipment, there was nothing wrong, because the experience of the company was well established, but the negatives were too high. But in 2011 the page is actually tour and all indications so far that these errors will no longer be redone. For example, the bootloader (bootloader) can be unlocked, if the operator agrees. The updates are very regular and well ahead of many competitors. Quality hardware and software is well established (the test Xperia Neo / Kyno in the coming days will confirm this). It is also anticipated that Android 2.3.4 (Gingerbread) sent in October for all Xperia models sold in 2011. But after Gingerbread, there will be Ice Cream Sandwich. While all other manufacturers give no information about a possible update, Sony Ericsson has just announced great news. All models Xperia 2011 (Active Xperia, Arc, Arc S, Play, Mini, Mini Pro, Neo, Neo V, Pro and Ray) will receive this update. It should even be very fast, because it comes in the month of November. Knowing that this new version should be released during this period, Sony Ericsson may again soften its image by being perhaps the first manufacturer (not Nexus) Ice Cream Sandwich to offer via an upgrade. The new Will it make you upset for this brand?